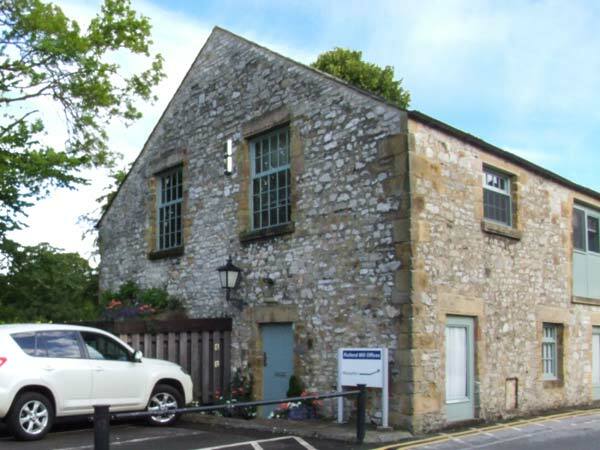 The Old Sawmill is a first floor apartment by the river in Bakewell. The accommodation comprises of three double bedrooms, a shower room, an open plan living area with kitchen, dining area and sitting area, and a mezzanine sitting area accessed via a spiral staircase. Outside is parking for two cars, and the river and amenities of the town are on the doorstep. From The Old Sawmill, Chatsworth House, Buxton and beyond are easily accessed, making this a wonderful base for couples or friends, whatever the time of year. Mostly first floor. Three double bedrooms. Shower room with shower, basin and WC. Open plan living area with kitchen, dining area and sitting area with river views. Mezzanine sitting area. Note: Spiral staircase to mezzanine.